A graduate of Williams College in Massachusetts, Dr. Webb went on to earn his medical degree and then awards for overall performance, research, and commitment to orthopedic education, during his orthopedic surgery residency. While completing his sports medicine fellowship, Dr. Webb was an assistant team physician for the Boston Celtics and the Northeastern Huskies. Dr. Webb has expertise in cartilage restoration procedures and alternatives to total knee replacement surgery in younger patients. 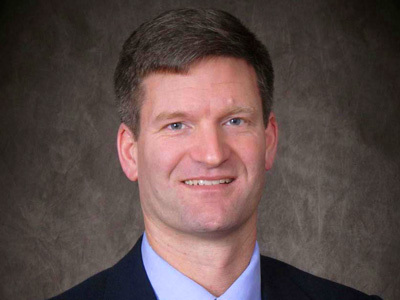 He has conducted research and lectured on cartilage injuries, presented papers at national and international meetings, and is a reviewer for The Journal of Arthroscopic and Related Surgery. Treating conditions affecting the shoulder and knee, Dr. Webb has a special interest in sports medicine and the prevention and treatment of athletic injuries in patients of all ages. He is also an Affiliate Professor at the University of New Hampshire, and has been a Team Physician for the University of New Hampshire Wildcats since 2005. Dr. Webb is on staff at Wentworth-Douglass Hospital in Dover and Frisbie Memorial Hospital in Rochester. In addition, Dr. Webb is skilled in the latest MACI (autologous cultured chondrocytes on porcine collagen membrane) procedures for the repair of cartilage defects of the knee in adult patients. With numerous successful implantations completed, Dr. Webb is on the leading edge of cartilage defect repairs. Did you know? Dr. Gavin Webb performed the first MACI cartilage transplant procedure in Northern New England.